Frost & Sullivan has recognised Dimension Data as its global 2017 global systems integrator (GSI) of the year, commending the company for leveraging its expertise in systems integration to create compelling business outcomes for its clients. Each year, the market research analysis firm presents the award to the company that has demonstrated excellence in terms of growth strategy and implementation. The award aims to recognise innovation with products and technologies and the resulting leadership in terms of customer value and market penetration. Based on its recent analysis of the global systems integration market, the analyst firm lauded Dimension Data for its consulting, technical support, and managed services, in addition to its focus on integrating services, applications, and infrastructure. It also commended its speed time to market, costs optimisation, along with its ability to reduce risks, simplify interoperability and improve operational control. 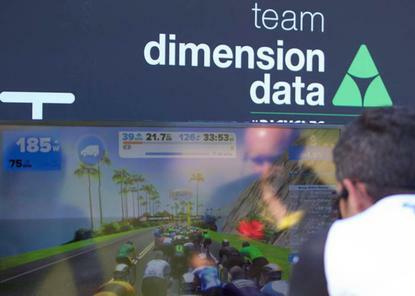 Dimension Data also stood out for its ability to tie together technologies in an increasingly digitised environment. As an example, Frost & Sullivan mentioned that in healthcare, it is improving emergency response times and patient services through innovative communications and mobility solutions and has helped improve patient outcomes using video for better communication. “Dimension Data has achieved distinction on the strength of its exceptional services,” said Frost & Sullivan principal analyst, Nancy Jamison. “Dimension Data’s consultative approach enables it to translate customers’ business needs into business outcomes, backed by strategic IT plans and architecture plans for achieving those outcomes. "It understands that one size does not fit all but still manages to provide a one-stop shop for customers. It is able to do this through its tight partnerships with suppliers, as well as its relationship with the NTT Group (its parent company) and its sister companies,” she said. Dimension Data has leveraged 34 years of accrued expertise in the systems integration market to offer end-to-end, cloud-enabled, hybrid IT services. The company has more than 30,000 employees globally, marquee technology partners in core business areas, and a growing cadre of partners in emerging technologies, making it a trusted advisor to Fortune 500 companies, according to the analyst firm. “It offers a full life cycle of services and flexible deployment models (on-premise, in private or public clouds, and hybrid) that match clients’ service consumption patterns and allow them to scale up," Frost & Sullivan said in a statement. “As a result, the company is a trusted advisor in each key area of the business, including data centre architecture consulting, digital and network services, customer experience and collaboration, end-user computing, and security,” it added. In addition, it said that Dimension Data has rapidly expanded its base of long-term customers and achieved high customer satisfaction ratings across these core areas. Most recently, Dimension Data won a $14 million CSIRO tech deal and leveraged Cisco to launch a dedicated Apple practice.